Children who grow up overseas, whose parents' careers keep them abroad for most, or all of their formative years, are called - Third Culture Kids. Studies show that these kids mature faster, are more independent and introspective, more sophisticated and cosmopolitan, and far more knowledgeable about the world than their compatriots from their country of birth. There are 4 common themes that give these kids an edge or advantage in today's world. Change - They know how to cope with high change, because of the constant change of location, friends, schools and cultural experiences they have been exposed to. They are in a continual process of adapting and relating the culture(s) they are coming from, with the new cultures they are entering every few years. Relationships - Before the introduction of social networking, they learned to make friends quickly, and also to let them go just as quickly, because of the many relocations they went through. However this traumatic aspect is becoming a thing of the past, with the trend to social networking sites like FaceBook, MySpace, Twitter, and Skype that allow them to maintain close, day-to-day communications no matter where they are in the world. These kids are now able to keep a network of close friendships even though they are not in physical proximity. This is a global revolution that is sure to have implications professionally, as they become adults and move into the work world. Hopefully, it will also influence the future of world affairs in a positive way. It's interesting to note that President Barack Obama was a TCK. 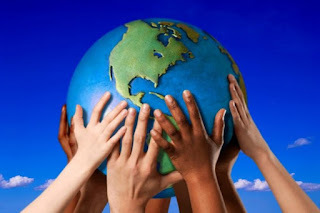 WorldView - They see the commonality between cultures, viewing themselves first as humans, in a Global World, rather than being connected to any particular culture. Because they have friends all over the world, they have compassion, empathy and concern for people who live in other parts of the world, whose culture they have known personally. They understand that one can hold a personal truth, and still acknowledge the existence of other truths being held in other cultures, without necessarily being impelled to change the views of others to conform with one's own worldview. Cultural Identity - As a consequence of their global living experiences, they are not attached to any particular culture. Third Culture Kids can feel at home anywhere on the planet. They also have the capacity to select and integrate aspects from many different cultures that they have experienced. This gives them a strong cultural openness and understanding that is beyond the grasp of mono-cultural children. They do not feel separate or isolated, as they move around the planet. They carry an inner confidence that if necessary, they could survive anywhere. They are truly 'Inhabitants of the World' - Global Citizens who can take a job in any culture, and fit in.